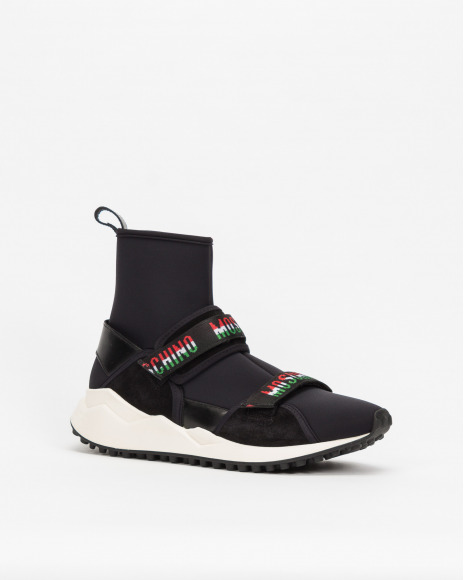 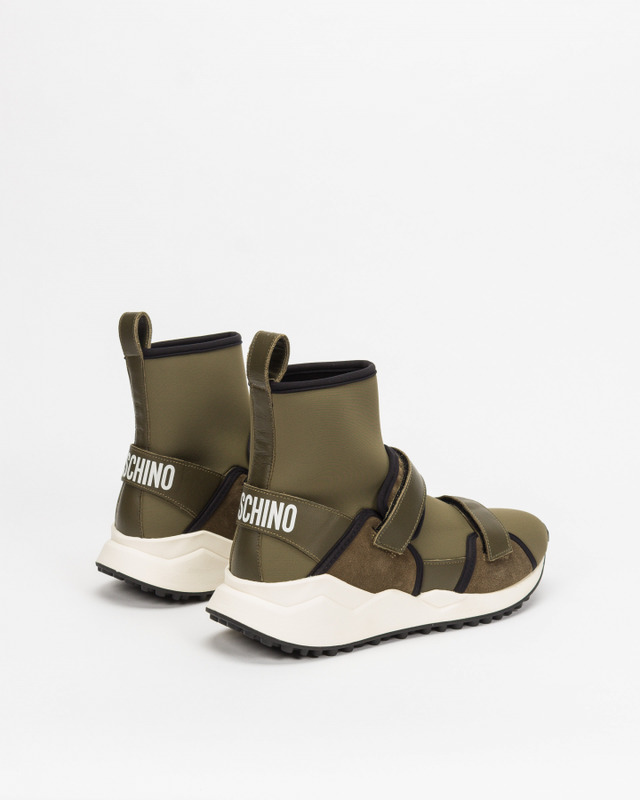 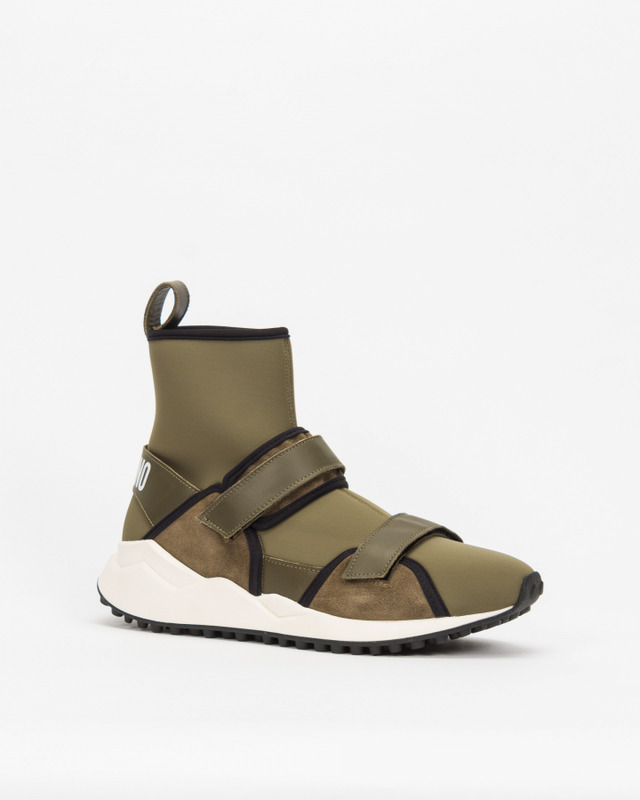 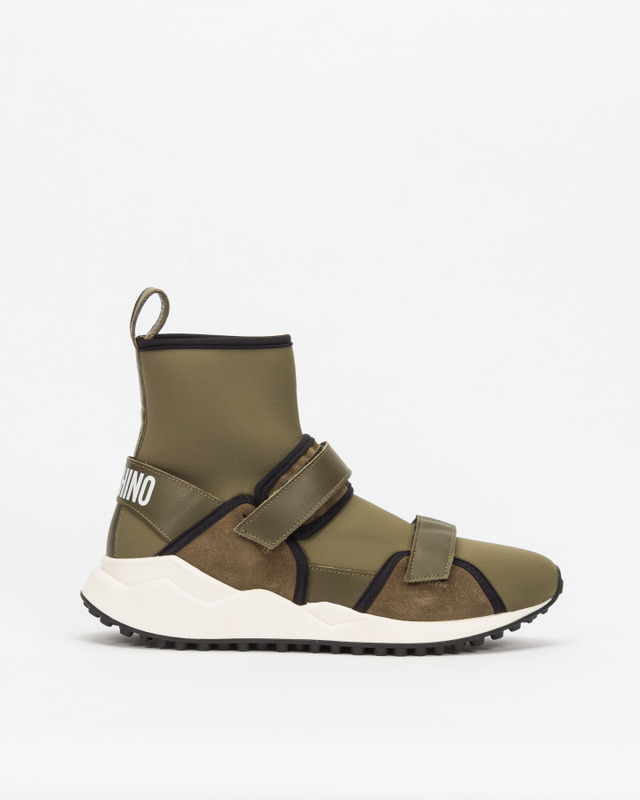 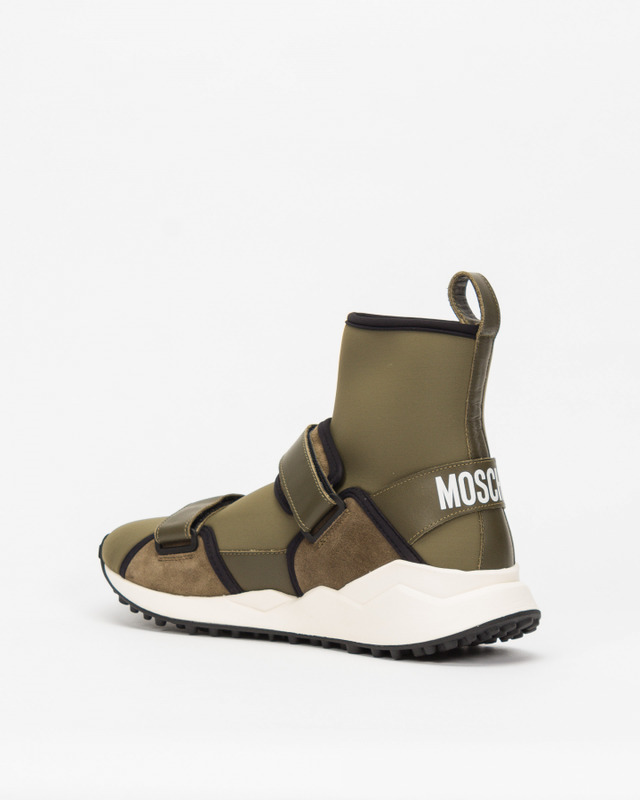 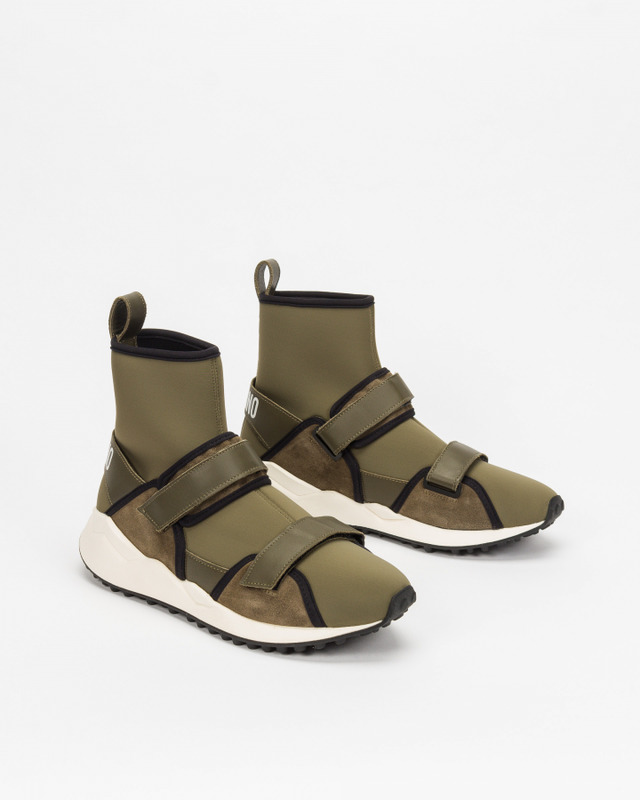 Moschino sock sneakers for men in green neoprene fabric and suede with brand logo on the back. 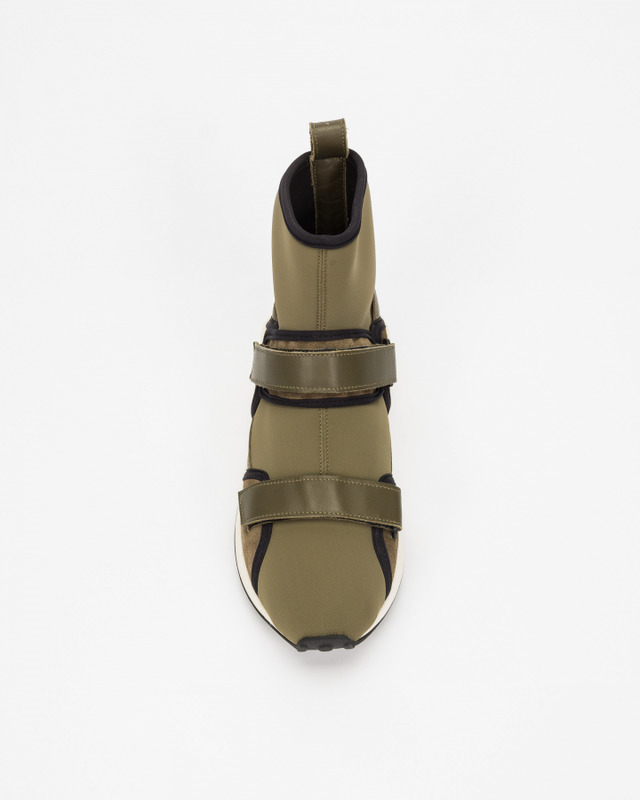 Leather insole, fabric lining and 2 by 3 cm rubber sole. 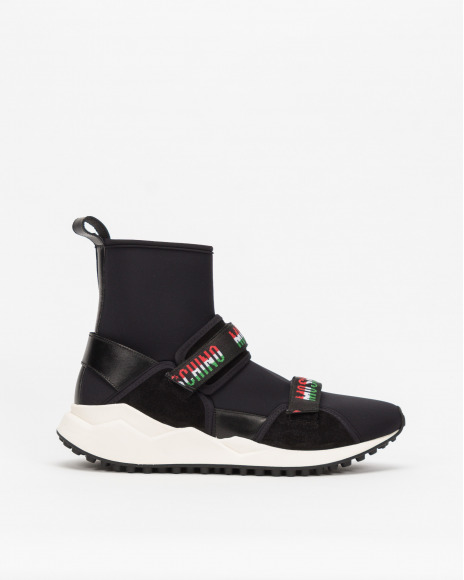 Velcro strap.